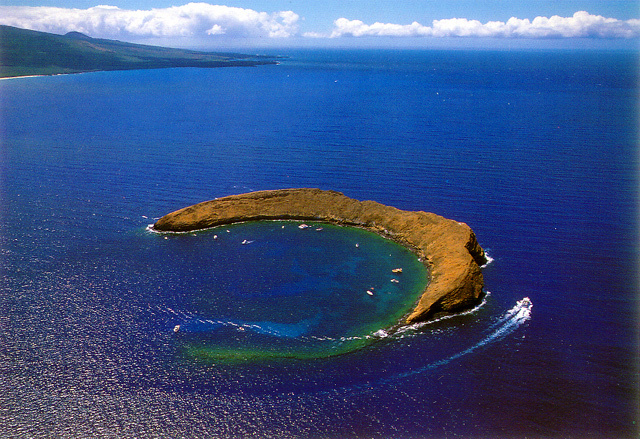 Why is there even a Facebook checkpoint at Molokini Crater then? Did you hear that? It’s the crashing sound of a technology wave blowing your mind. Or, maybe it’s a real wave. But that’s neither here nor there. You know, this joint really looks better in pictures. I’m one of those “super users” that treats my Facebook feed like my personal AP wire. I broadcast, I read other people’s news, I turn off news that’s not interesting and tune in to news that’s entertaining. How else should I keep up with the people I love, their starter marriages and then subsequent divorces? Or read in real time what a group of friends is doing about a social or environmental cause? Or organize a protest against something horrible and unethical? A newspaper? Phffssh. The 711 people on my friends list know I’m a cat enthusiast (but mostly just when they’re wearing clothing), a cartoon-watcher and that I live somewhere in North Texas. But what they probably don’t know is my background with daily news at a large metropolitan newspaper, and my fascination with the changing face of communication. I work in a company full of employee communication experts. Communication is important to me. Word on the street is that daily news is becoming obsolete. But, aren’t we talking information now more than ever? And more importantly – isn’t there some way you or your business can capitalize on this? 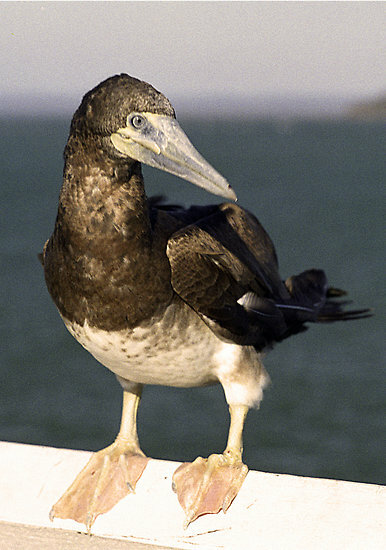 The brown booby. I hope that's, uh, how you spell that. I went solo on my luxury cruise to the Crater yesterday, but I somehow managed to have an engaging mobile conversation with friends all over the world about something called a “booby” (which to my friend’s grandpa’s chagrin, turned out to be a bird), uploaded a bunch of photos and made people interested in visiting the crater because my life is awesome. They asked about what cruise I took and what the crater experience was like. I think by the time I was done the state of Hawaii should have paid me for driving possible tourism. When I came home, out of curiosity I looked at my check-in to see how Molokini Crater is classified at their check-in point. Answer? A business. Neat! I thought it was a park or something. And it probably is. In the very least it’s a natural wonder. Which I’m sure is something people talk about anyway, but their check-in provided a forum for 20 people from different parts of the world in completely different walks of life to gather and discuss and potentially spend money. Can Facebook or any other type of social media do this for you? Possibly. Create a checkpoint and invite me over. An open bar helps. Newer PostPinterest makes me buy things.